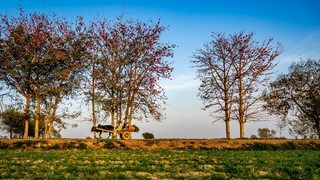 A short Photowalk on Sunday evening around the village Vehari. April 9, 2019, 3:51 a.m.
From Lahore Fort to Data Darbar, streets of Bhati Gate to Anarkali food street; my father made sure that Lahore’s heritage was a major part of my upbringing. Jhelum is an ancient city with a number of historical sites which getting out of the site because of they have been neglected over the time and often left abandoned. The "Bhai Karam Singh Gurdawara" is one of those sites.